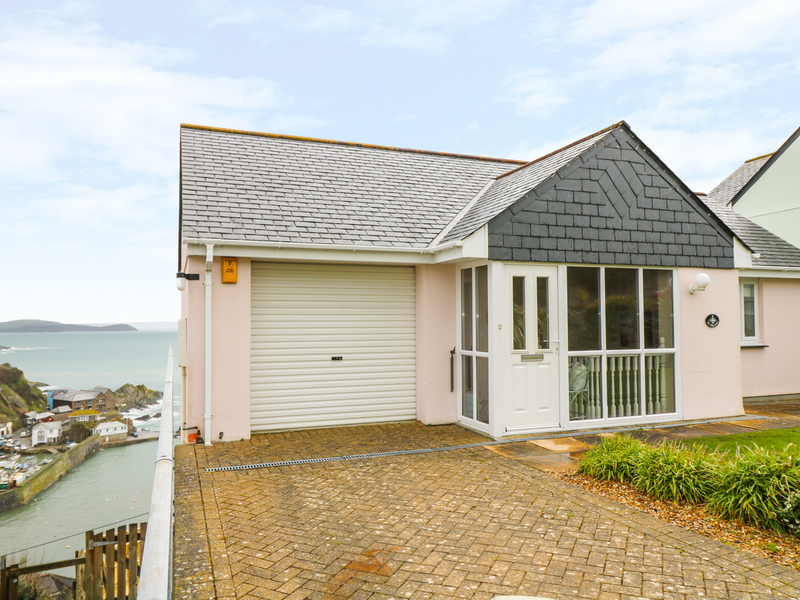 Pink House is a spectacular house set in the town of Mevagissey in Cornwall. The house can sleep eight people in five bedrooms which are made up of two singles, a twin, a double with a balcony and a double with an en-suite shower room as well as two separate bathrooms. The rest of the house is made up of an open plan living area with dining and sitting areas and kitchen. To the outside is off road parking for two cars and a large terrace with furniture. Set in a wonderful situation, Pink House can be enjoyed at any time of the year. Gas central heating. Electric double oven and gas hob, microwave, fridge/freezer, washing machine, dishwasher, TV with Freeview, DVD, WiFi, selection of books, games and DVDs. Fuel and power inc. in rent. Bed linen and towels inc. in rent. Off road parking for two cars. Large terrace with furniture. Two well-behaved pets welcome. Sorry, no smoking. Shop and pub 10 mins walk. Note: Children to be supervised due to the balcony.